As libraries continue their shift to dynamic community centers, they’re linking residents to information, services, technology and other people within their own community, and globally. 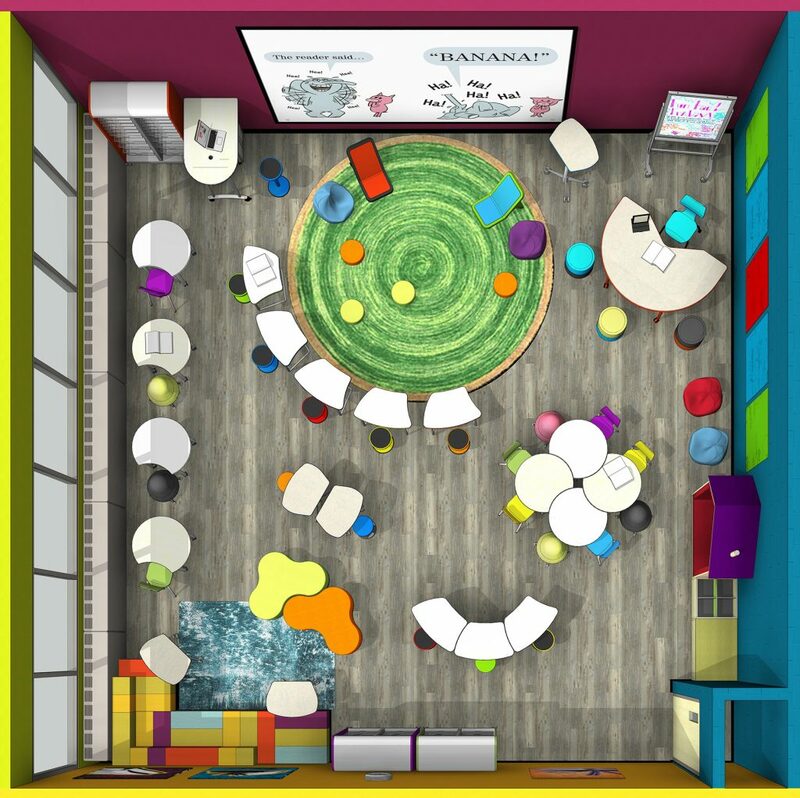 This has prompted new and exciting emerging library trends including private and semi-private meeting spaces, media sharing and interactivity. Many school, university and public libraries are adding interactive environments to support digital sharing, and new products are emerging to provide affordable, comprehensive furniture and technology solutions. 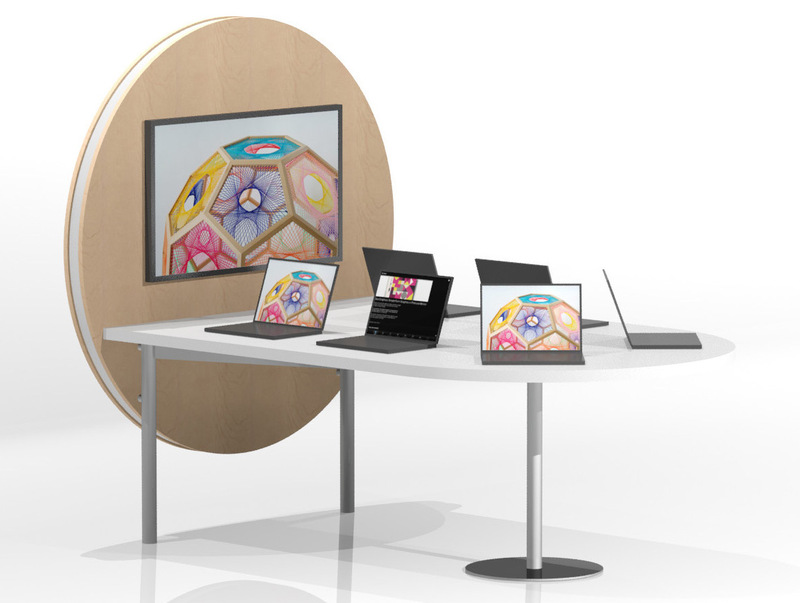 These solutions can link a laptop, or multiple laptops, to a large monitor where groups can collaborate with one another — as well as with those in remote locations. Demco’s new TechnoLink Media Table was recently installed in the Hawthorne Elementary School in Madison, WI. The unit seamlessly links furniture with technology for a clean, uncluttered look. A variety of options are available to meet different equipment needs, and a range of finishes make it easy to adapt the unit to any environment. press the Share button connected to the device and it will appear on the large monitor for all to see. As libraries seek to provide comfortable learning environments for everyone, they are faced with the fact that comfort is completely subjective. Since there are a variety of learning and working styles, it’s important to offer a combination of social and collaborative spaces, as well as quiet contemplative spaces fitted with a mixture of furniture solutions. Mien’s Chameleon line is a modular lounge system that adapts to any environment. 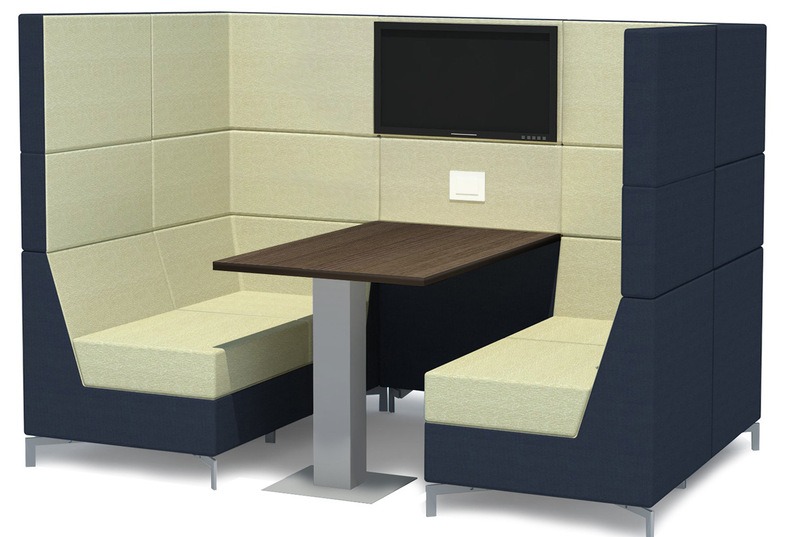 Modular back panels can be stacked to create semi-private spaces for individual study or group collaboration. A variety of modules can be fitted with power ports, making them perfect for media sharing stations or a place to plug in personal devices. In addition, low back lounge chairs can be grouped with low tables and high work surfaces to create open, casual landscapes for socializing. a complete video conferencing room. Available in 3 height variations with optional built-in screens. The trend for interactivity goes beyond group collaboration. Finding simple ways for individuals to interact with the latest technology and apps promotes technology literacy. 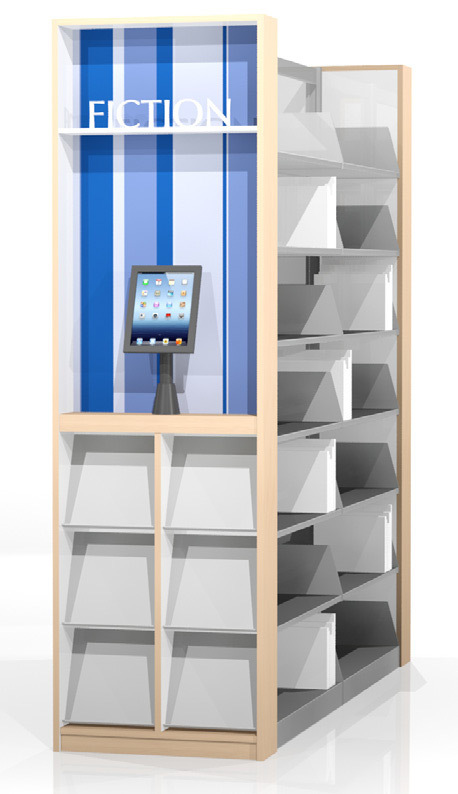 Demco’s ColorScape Idea Stations provide static access to tablets. 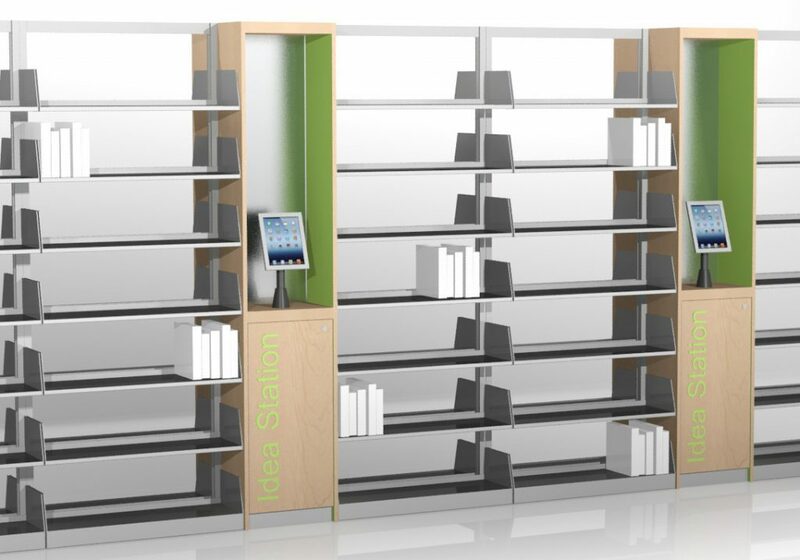 These stations can be added between sections of shelving, or serve as multi-functional end panels. 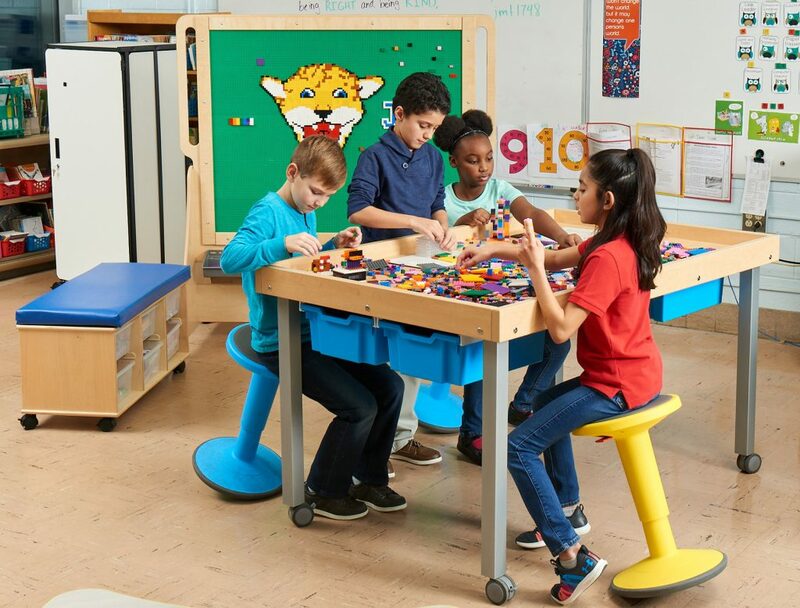 Idea Stations are available in a variety of heights to accommodate children and adults. A wide array of finishes allows the unit to complement just about any space. 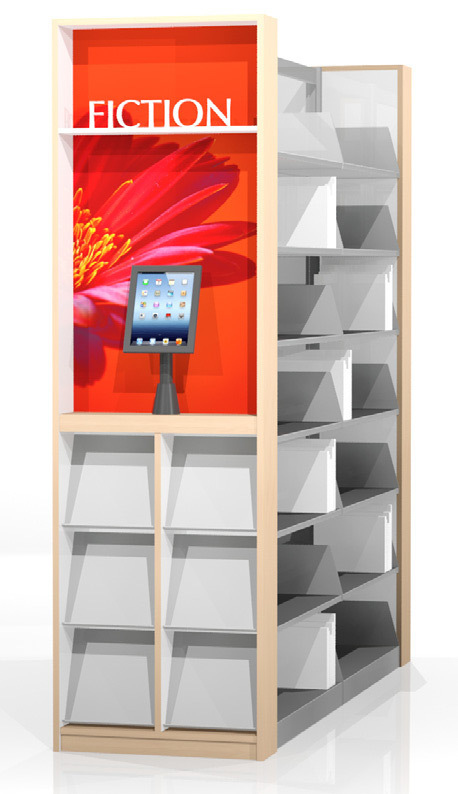 Optional accessories include: Magnetic Removable Graphic Panels, Interchangeable Signage and Display Shelves. Sometimes semi-private spaces and interactivity can be found in the simplest of solutions. 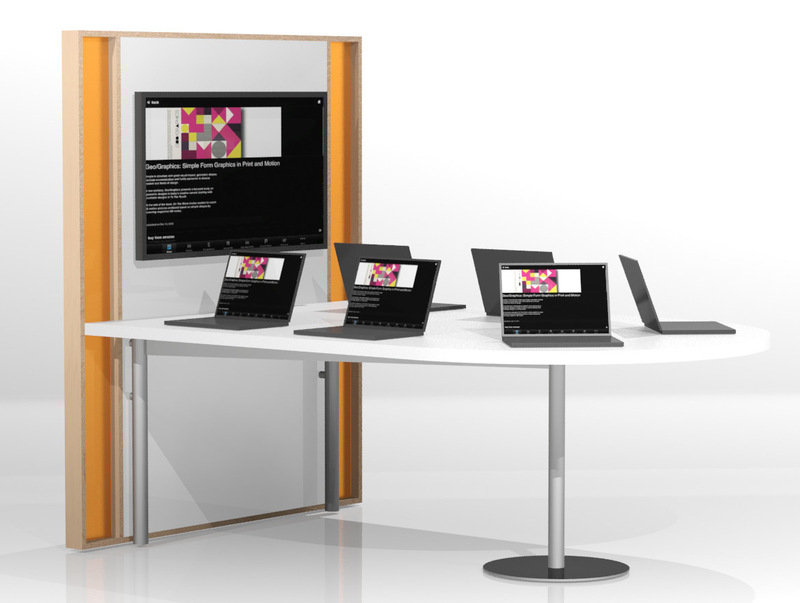 A modular mobile screen, like the Flowscreen from ABF Works, paired with flip-top mobile Kite tables can provide multiple configurations to support groups and individuals. 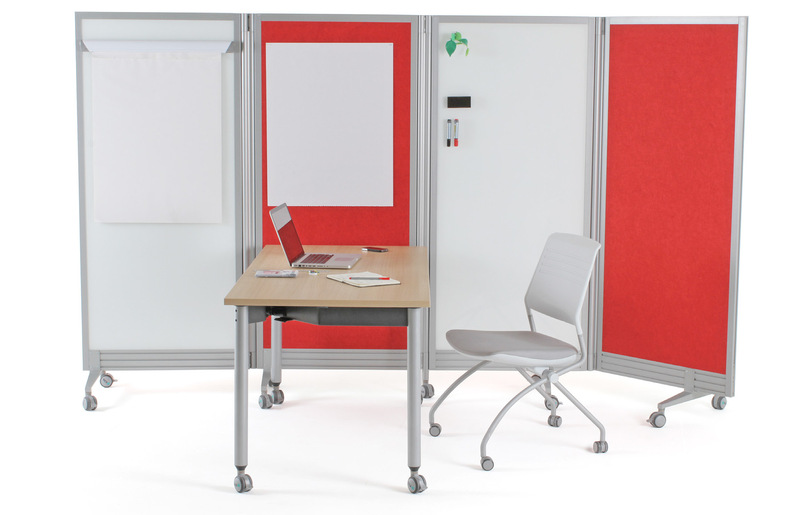 The Flowscreen provides privacy, acoustical foam board for tacking up notes and a magnetic glass writing surface for low-tech collaboration. 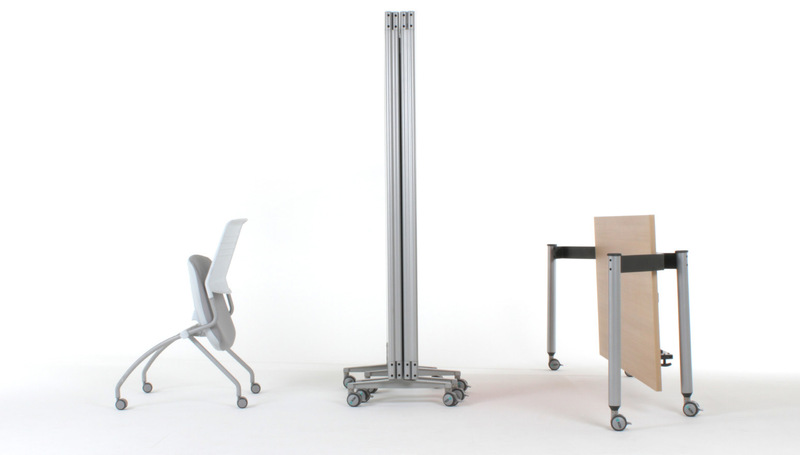 When not in use, the Flowscreen folds down to a super-narrow profile and can be easily tucked away. 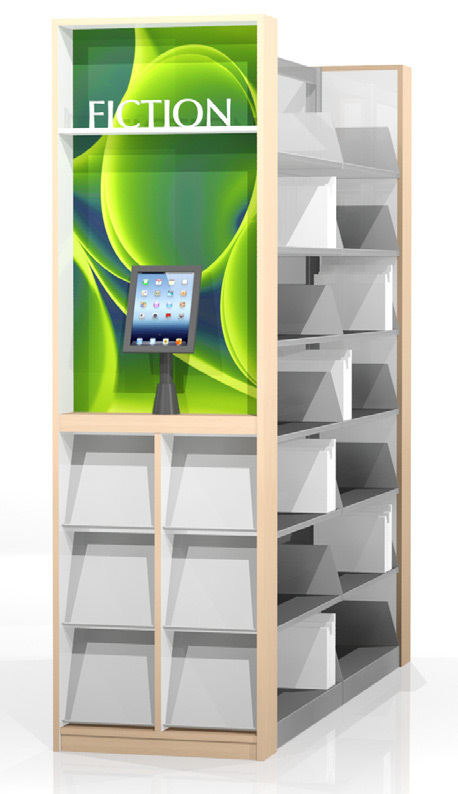 space with it, use magnets to secure documents to it, fold it & roll it to make room for your next activity.